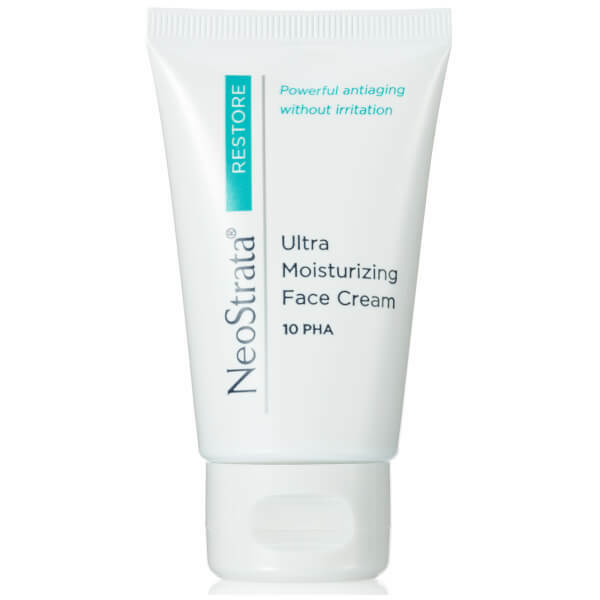 The NeoStrata Restore Ultra Moisturising Face Cream is an emollient moisturiser designed to hydrate and gently exfoliate sensitive skin to help reduce signs of ageing. Suitable for first time AHA users, the face cream is formulated with 10% Gluconolactone, a Polyhydroxy Acid (PHA) that helps to strengthen skin's protective barrier and reduce redness. 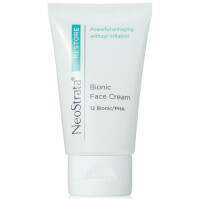 As a natural humectant, it will promote well-hydrated skin. Calming and strengthening, the antioxidant moisturiser also contains Vitamin E to protect. 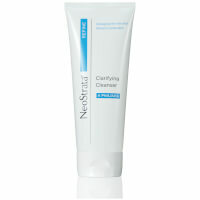 It will gently exfoliate, moisturise and restore the appearance of skin on the face and neck. 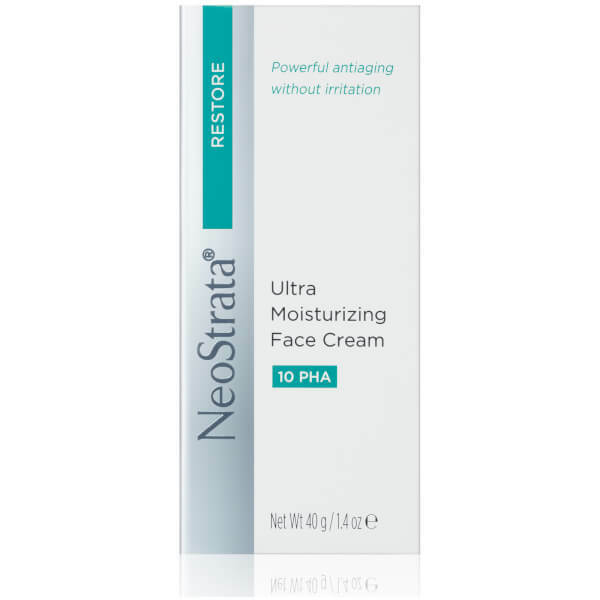 As part of a daily PHA regimen, this formula has been shown to reduce redness over time and to significantly improve texture, firmness, lines and overall skin clarity. Free from fragrance and dye. Aqua (Water), Gluconolactone, Butylene Glycol, Isocetyl Stearate, Glyceryl Stearate, PEG-100 Stearate, Isododecane, Triethanolamine, Cyclopentasiloxane, Palmitic Acid, Stearic Acid, Macadamia Ternifolia Seed Oil, Arginine, Glycerin, C12-15 Alkyl Benzoate, Dimethicone, Diisostearyl Malate, Cetyl Ricinoleate, Cetearyl Alcohol, Tocopheryl (Vitamin E) Acetate, Oenothera Biennis (Evening Primrose) Oil, Cyclohexasiloxane, Myristic Acid, Magnesium Aluminum Silicate, Steareth-2, Xanthan Gum, Disodium EDTA, Caprylyl Glycol, Phenoxyethanol, Chlorphenesin. Apply to face and neck twice daily, following cleansing. Daily use of an SPF or suncream recommended.